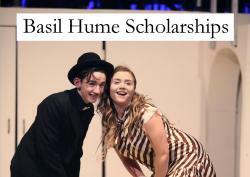 Our Scholarship programme allows students with a particular talent, whether in academic subjects, music or extra-curricular pursuits, to be recognised for their ability and to be stimulated and challenged to improve still further. 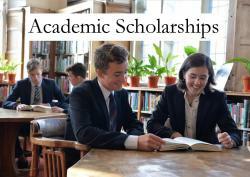 Ampleforth College offers Academic and Music Scholarships at 11+, Academic, Music and Basil Hume Scholarships at 13+, and Academic and Music Scholarships at 16+. In recognition of outstanding success in the scholarship assessments, from 2019 onwards there is the potential to be awarded a small monetary award too, worth 10% of school fees. Up to twenty such awards will be made each year. 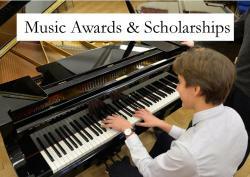 Music lessons are provided free of charge for Music Scholars. Scholarships can be awarded at any stage of a student’s career, but many students will try for a scholarship in the year before entry. On the following pages in this section you will be able to find out more about the different scholarships available at Ampleforth. To read more about scholarships carrying a financial reward please click here. All examinations are taken at Ampleforth and all are open to boarders and day students. If candidates are required to stay overnight, accommodation will be provided for them. Music and Sixth Form award examinations are completed in one day. However, accommodation can be provided if necessary. The College will send all details about the examination arrangements to the candidate's school and parents. Headteachers of schools entering candidates for the examination are asked to send in a report on their candidates before the examination. This should include a general assessment of character and comments on academic potential, reading and interests. * Although the deadline has now passed, please contact the Admissions Office on 01439 766863 or email admissions@ampleforth.org.uk if you have a query. Thank you.